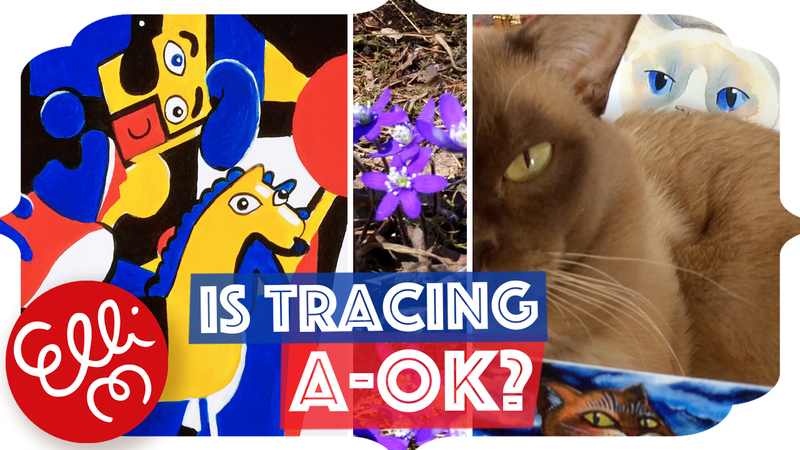 On this week’s video on Elli Maanpää Art I ponder aloud if tracing in art is ok. What do you think? I’d love to hear your comments. While talking about it I speed paint the painting for our puppet animation. 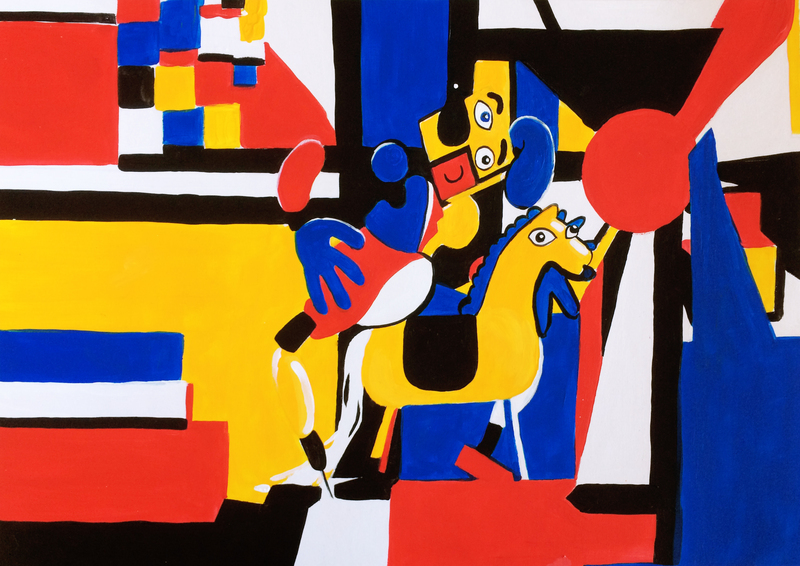 The painting – both 3D and 2D version – is inspired by Picasso and Mondrian. I also mention the postcard shop with cat themed postcards. Enjoy!